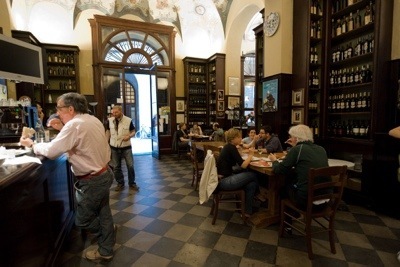 CA’ DE’ VEN Restaurant, Ravenna, Italy. Historical Piadina. | Travel Blog & Co.
To all those who’re visiting Ravenna (Romagna, Italy): don’t miss this historical charming restaurant and winehouse, where you can enjoy very traditional and excellent local food (like piadina) and wine (like Sangiovese). 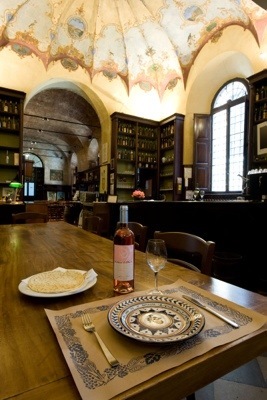 It’s set inside a XV century building and it’s still decorated by the original XIX century furnishing. From Menu, don’t miss: “piadina, squaquerone, affettati misti, pecorino, ciccioli, crescione alle erbe” and a glass of “Sangiovese”. This entry was posted in Restaurants & Cafes and tagged articles, blog, ca de ven, community, cooking, daily post, food, italy, piadina, postaday, ravenna, restaurant, romagna, travel by costanzafabbri. Bookmark the permalink.